From boots to bowsights, you can’t afford to experience equipment failure on a backcountry archery elk hunt. Being successful in the elk woods requires a litany of gear, and though the choices are many, here are just a few of my go-to archery elk items. 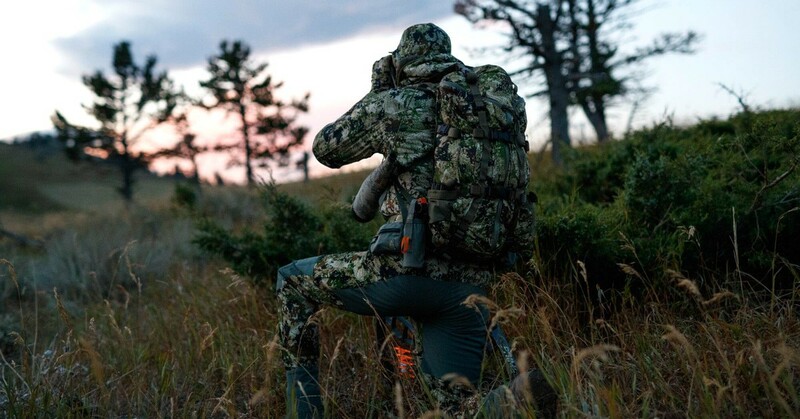 Sitka’s new Apex Series is an innovative system that is composed of a hoodie, pants and pack. Featuring Sitka’s Subalpine pattern, the Hoodie offers the warming benefits of merino wool and the comfort of nylon in the outer layer, while the 230-gram 17.5-micron merino wool backer blended with a durable nylon face will keep the chill off. The pants feature a micro-grid fleece interior design and include removable knee pads, cargo pockets with mesh dividers to reduce noise and tapered legs for easier and quieter mobility. The pack boasts a low-profile frameless design that weighs only 36 ounces while offering 1,800 cubic inches of space. Looking for a simple daypack or one that will haul a serious load of meat? The new 23 Liter Mule from Mystery Ranch is a perfect option. Constructed from a superior 500D Cordura fabric, the Mule incorporates Mystery Ranch’s load-hauling Overload System with their weight-taming Guide Light Frame to create a true packing machine. The new Ravine boots from Irish Setter are lightweight and comfortable, and provide sustained support through an energy-returning core sandwiched between the midsole and outsole. The Anti-Torsion Chassis offers great underfoot support on uneven or rocky ground, and the rubber outsole with multi-tiered lugs provides superior traction in any terrain. Complementing Hoyt’s new REDWRX Carbon RX-1 compound bow is its REDWRX Carbon Xceed Sight. The carbon fiber skeleton is extremely lightweight but durable, and the coiled fiber optics gather light for brighter pin clarity. Where legal, an additional sight light enhances brightness in ultra-lowlight conditions. Second and 3rd-axis leveling capabilities is a given with this five-pin jewel, as well as micro windage and elevation adjustments. For those who want the look of color customization, the REDWRX Carbon Xceed comes standard with eight different sight ring colors.